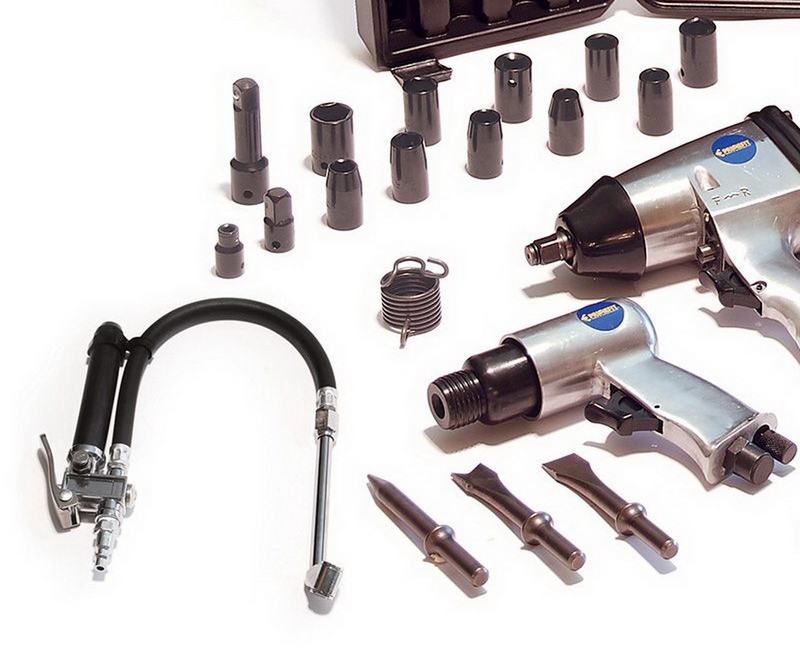 Includes Drill, LED Light, Charger, 2 Batteries, Storage Bag! 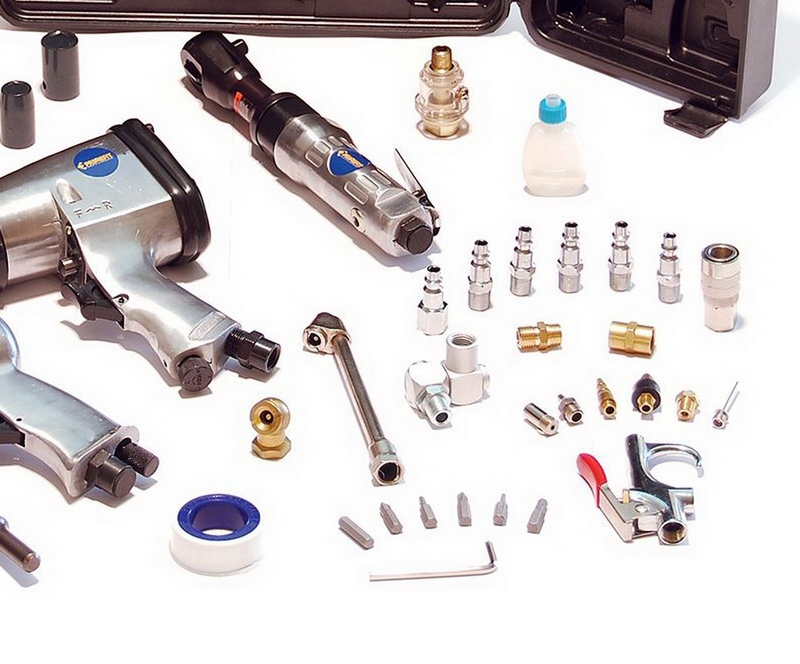 This is for one brand new 50 pc Air Tool Kit with Impact Wrench and Ratchet.. 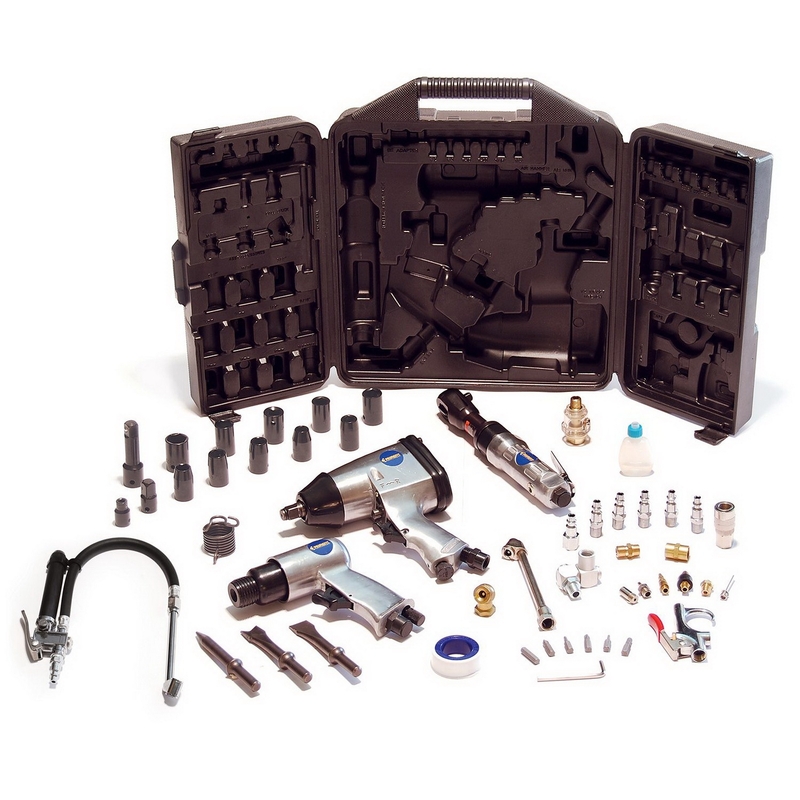 This is a 50 piece air tool kit featuring 4 of the most popular air tools for any garage workshop - a 1/2" Impact wrench for lug nuts and heavy bolts, a 3/8" ratchet for smaller bolts and hard to reach places, an air chisel for removing stubborn bolts and metal cutting, and a blow gun with various nozzle attachments. The kit also features all of the key accessories for use with these tools, including sockets, quick connect fittings, chisel bits, air hose fittings, a tire chuck and more.